SCOTTSBLUFF — In today’s flying economy, pilots want to know as much as they can about an airport before they begin their flight. Western Nebraska Regional Airport has been receiving positive reviews about the airport from people who are not residents to the area through the use of an app focused on providing pilots up-to-date information and reviews on the locations they are flying to. Airport Board Secretary/Treasurer Neal Smith said he has seen some of the reviews, which has rated The Flight Deck Restaurant, the ability to rent cars, the airline and the general facilities available at the airport. Jeff Robbins, airport board member, said it’s common for people to look ahead before traveling to see the capabilities of the airport. An EFB is an app that replaces the large flight bags pilots used to carry. Those bags had everything a pilot needed, including paper maps, paper flight plans, paper facility directories, paper manuals and paper flight procedures. Everything was in book form. A flight bag could easily weigh 50 pounds. ForeFlight is one of several EFBs that make a pilot’s life a little easier. Robbins uses the app when he flies, but said it was always good to know what the public perception is of your own airport to not only gauge public opinion but to be able to spot changes that may need to be made. Smith said these apps are a valuable resource so the airport board can stay abreast of any concerns that may come up. “It’s nice to be able to monitor the perception of people outside our community,” Smith said. Members of the airport board asked Airport Director Raul Aguallo if it was something he could keep up on and report about. Aguallo said it is something that could be done quarterly as a proactive move to always make the airport better. 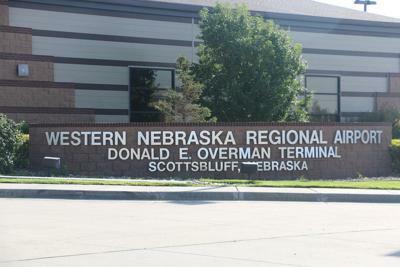 Aguallo also said the website for the Western Nebraska Regional Airport is due for an upgrade in the near future. Today, most people turn to searching for information online, particularly younger generations, and the airport is aware of the need to make their information more accessible. Staff are working with a web designer on design and implementation, which would include more information about the airport through interactives, pictures and more. Aguallo would also like board member and staff biographies and pictures as well as links to vendors at the airport.